I’m not sure how your days have been but mine has been crazy! 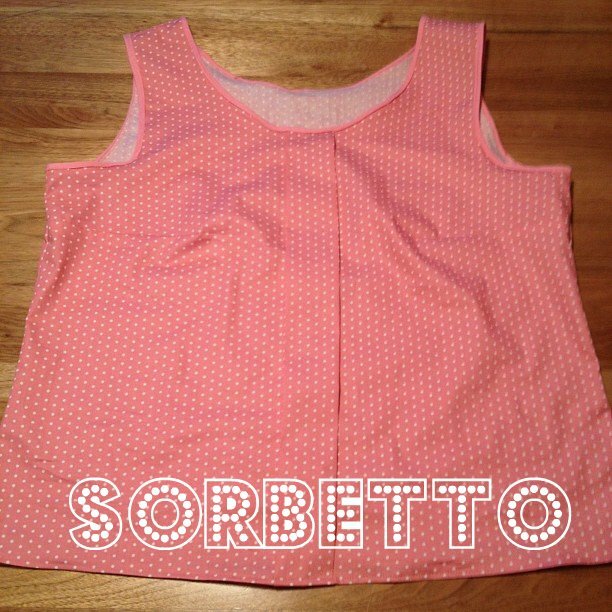 I was up early today for a working bee at our derby training facility, had quick jaunt around the markets (ox heart tomatoes and sourdough baguettes followed me home), then two fabric store binges, home for making strawberry infused vodka and finishing off my Sorbetto top. Crazy, wonderful summer times! But let’s be honest. There’s one reason why we’re all here. And that’s to talk Sorbetto. As of last night I had printed and prepped the patterns and was raring to go. The cutting and marking of fabric took no time at all. Maybe 15 minutes including time to make a fabulous g&t. I call that a winner. The basic shell is easy enough to put together and it’s awesomeness may be viewed here. Once I had the sides basted up I tried the sucker on and noticed it gaped under my arms a bit. Having never come across this problem before I immediately defaulted into my self-taught seamstress bubble and forgot that the internet and books existed and blundered along aimlessly. I took the side seams under the arms in a little and this made it somewhat better. In hindsight, I’m thinking darts would have been the ticket, though I am definitely open to suggestions to supplement the imminent googling I see ahead of me tonight. I then moved on to the bias binding with some pre-bought tape. (Side note: I’m committing to making my own bias binding at some stage this month. Unless I forget. Which is possible due to being easily distracted by shiny things. But I digress.) The binding was quite a bit easier this time and while still time-consuming didn’t make me feel like I had been sucked into some hideous time vortex. 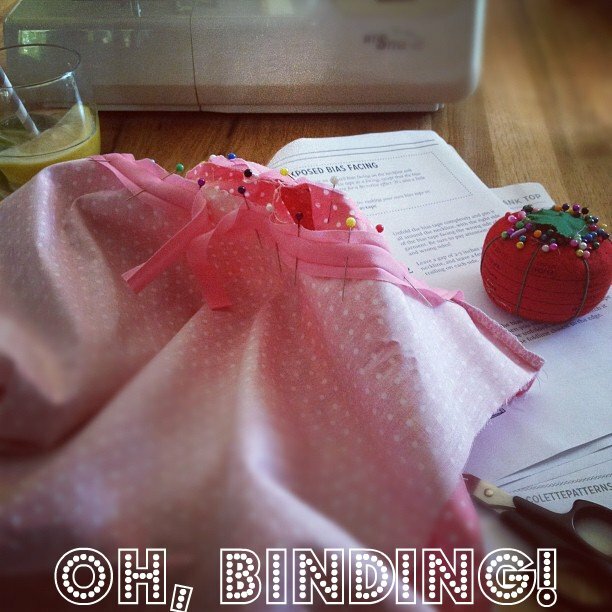 And once the binding was done that was it. Epic. 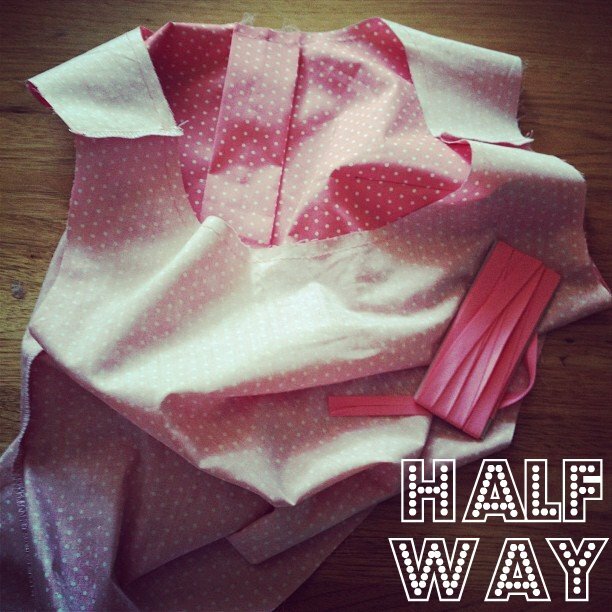 Speed sewing. Win. So without further ado- The Sorbetto. “But Amanda, while we appreciate this flat lifeless close up on your epic dining table, we’d like to see how it actually fits”. Well, gentle readers, let me oblige you! 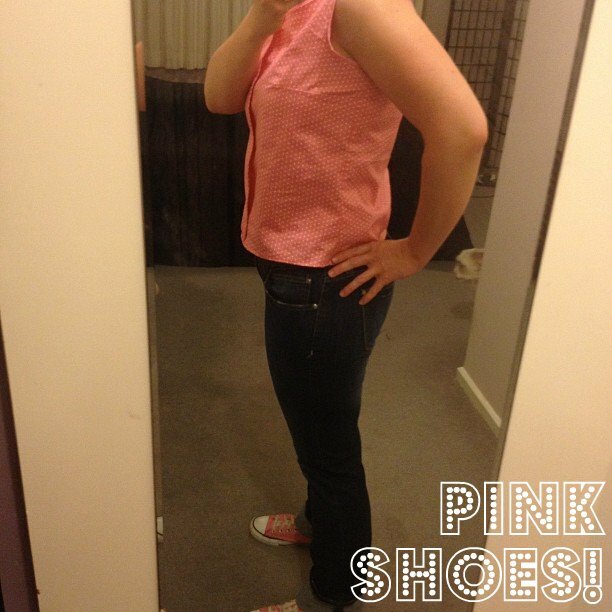 And then some side view complete with pink Converse. Because no outfit is complete without Cons. Including my wedding dress but that is another story. The downloadable file. It was in my greedy mitts in seconds. Only having two pieces. This is a great pattern for left over fabric. How quick it is. I am confident you could totally whip one of these up in no time if you knew you were heading out and had nothing to wear. True story: I’ve done that before with bowling and sewn myself an epic skirt in 30 mins. Crazy times. The front pleat. Adorbs. Seriously. The fabric. I’m thinking this cotton was too stiff as it just hangs straight down and has no movement. I am slowly learning what works for me and that’s having bodices/blouses that follow my curves. The gaping armholes. I’m going to try some sleeves next time but maybe also try this again with darts around the armholes. Length. I like my tops to be longer so there is no risk of flashing the top of my bloomers (teehee!) when sitting in jeans. Overall, I was satisfied with Sorbetto. I think that a softer fabric would work more in my favour and give me something I’d wear regularly. I was very happy with my much improved bias binding skills so snaps for that. And because I like to end on a high note, here’s a little preview of my strawberry vodka. Hello, sweetness!